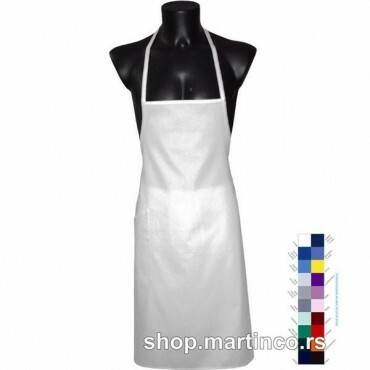 Whole apron whit 1 pocket down right. 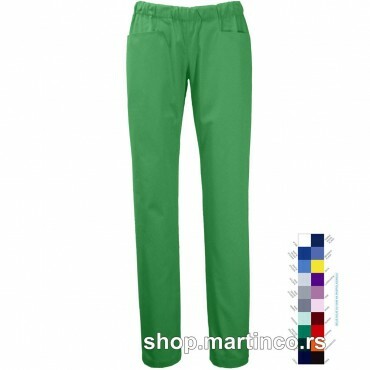 Man s scrub pants with rubber band and two front pockets. 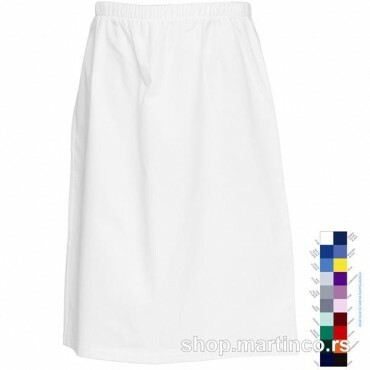 Women's blouses without collars with V neckline 2 pockets down and one up slice on hips and short sleeve. 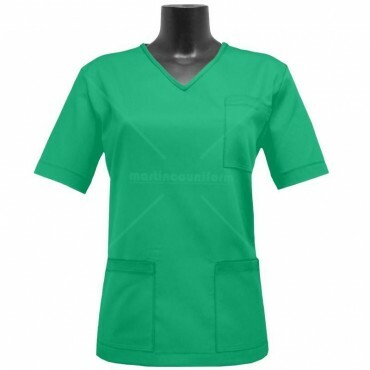 Women's blouse with V neckline and one pocket on the top left and two down. 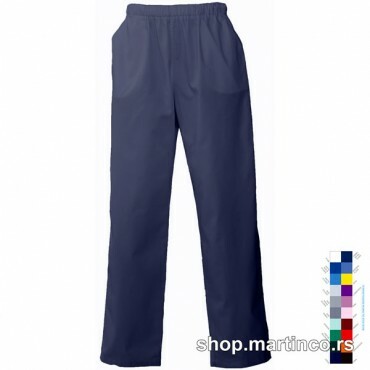 Women's scrub pants with rubber band and two front pockets. 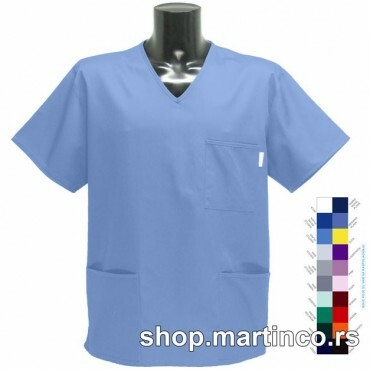 Men's scrub top with V-neck and one pocket on the top left side and 2 at the bottom. 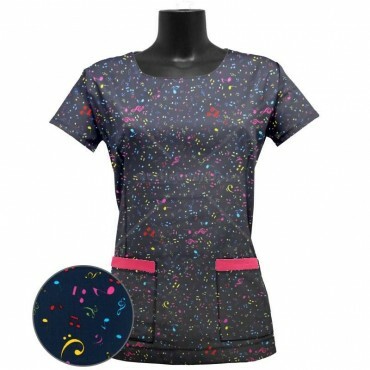 Women's scrub top without collar, with closure on the left side and no pockets. 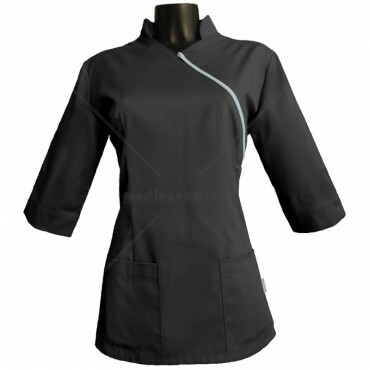 Womans scrub top with russian collar and snap buttoning, it has the S curve with one pocket on the bottom of the blouse and one pocket at the upper side. 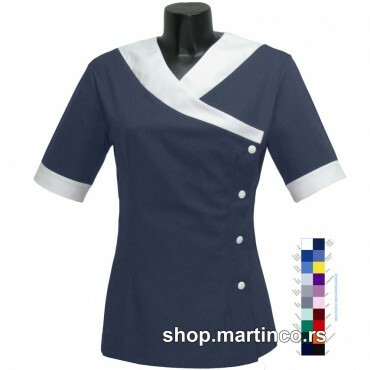 Womans scrub top with russian collar and snap buttoning, it has the S curve with two pocket on the bottom of the blouse. 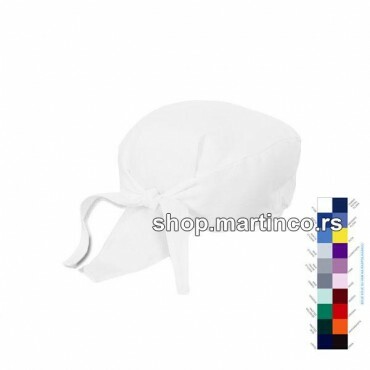 Women's blouses with round neckline 2 pockets down slice on hips. 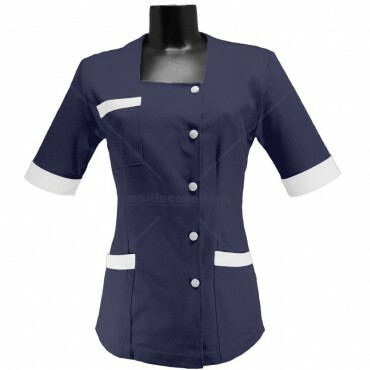 Women's blouses without collars with square neckline, buttoning on the left side with 2 pockets down and one up right, slice on hips and short sleeve. 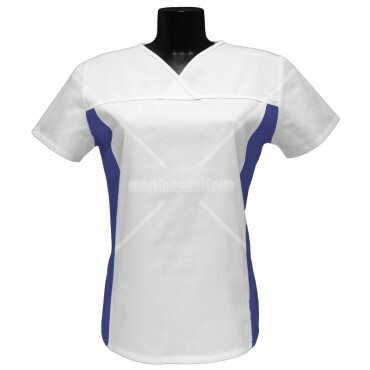 Women's blouse with V-neckline and 2 strips that can be different color. 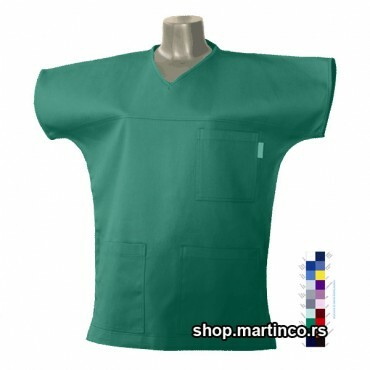 Tunic whit a deeper switch. 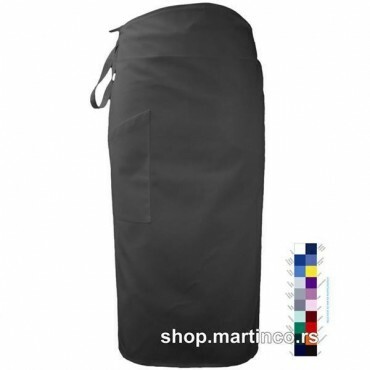 You can adjust the width of tunic with a belt that runs on the binding pocket of the up left and down right. 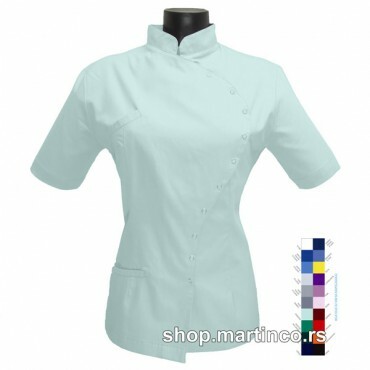 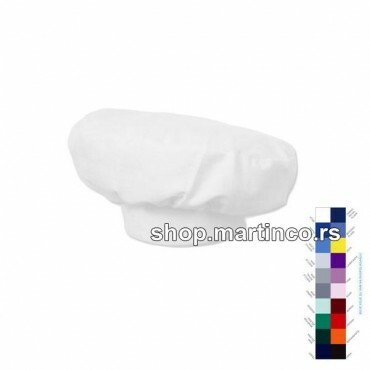 Martinčević DOO is a company that produces and sells uniforms and accessories for healthcare, hospitality and wellness workers.